Setting goals is a great opportunity for teachers to empower students to take ownership of their learning, promote a growth mindset, and improve academic achievement. The goal-setting process recognizes that each student is different and allows them to choose where they want to improve and what they want to achieve. It also encourages students to have a long-term vision of what they want to accomplish, and the short-term motivation to keep them inspired to work hard along the way. 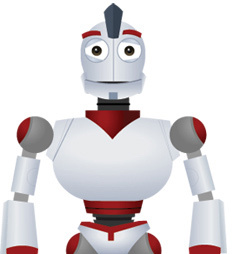 We recognize that every student is unique, and the path he or she takes to achieve proficiency may be different. 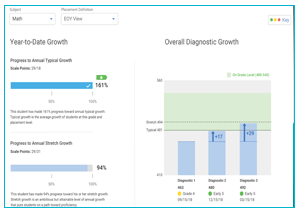 Rather than a “one size fits all” growth target, it’s important to focus on how much each student needs to grow to reach their goals for proficiency, and to track their learning progress along the way. Determining the most appropriate amount of growth for every student can be time consuming. 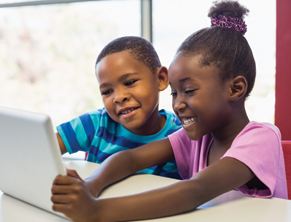 Based on research into the growth of millions of i-Ready students, i-Ready’s new growth model has done the work for you. Focus on growth and learning to increase students’ satisfaction in their progress and performance. Give them the opportunity to see what they are capable of achieving. Set collective goals, such as class or school goals, to keep individuals accountable to one another and help them grow as a team. Once you set your goals, communicate them broadly and ensure everyone understands what they are working to accomplish. Provide an opportunity for each person to play an important role to motivate the whole community to come together to reach it. You can help students set goals for themselves that can include both performance and learning goals that promote specific habits and short- and long-term growth. Provide multiple opportunities to set goals and scaffold the goal-setting process to focus students and teachers to work toward improvement, reflect on their progress, and establish a growth mindset. 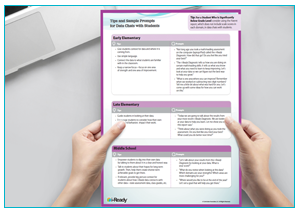 Use differentiated Typical Growth and Stretch Growth measures to help you guide students to set challenging yet achievable goals. Align your resources to ensure everyone has the tools they need to reach their goals. 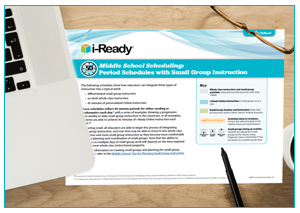 Use data to differentiate instruction and schedule time for teacher-led small group instruction and Online Instruction. Give students an opportunity to focus on the growth goals they defined. Have regular data chats with students, teachers, and parents to identify strengths and areas for growth and revise goals. Have students track their own data and growth through journals, data folders, individual student tracking sheets, or classroom data walls. Model and promote self-reflection after each assessment so students can feel ownership over their own abilities and guide where they want to continue to focus. 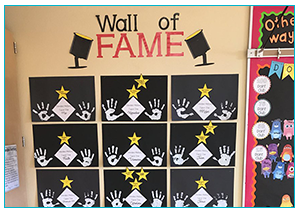 Recognize and celebrate growth through public announcements, staff meetings, bulletin boards, certificates or rewards to highlight when a student, class, or the school has made great progress or reached a goal.